There’s a relatively unspoken plight sweeping through the male population. It shows up like little scratchy pimples on your neck and cheeks. It’s a plague and it needs to be stopped. 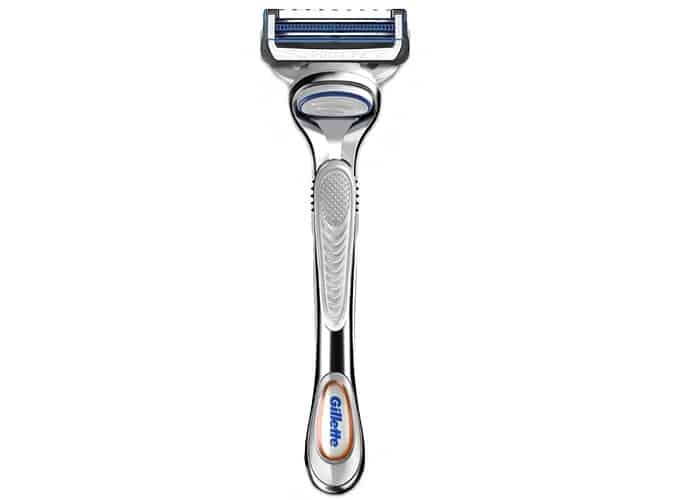 Step forth Gillette, which has put out its first razor engineered specifically to combat the dreaded burn. It’s only got two blades as opposed to the now-standard five to prevent tug and two lubrication strips to sooth that freshly mown skin. It’s the ultimate antidote for those with sensitive skin. Lucky Seven makes some of the best caps in the world, its roster of knockout headwear having been spotted on both Idris Elba and Tom Hardy. 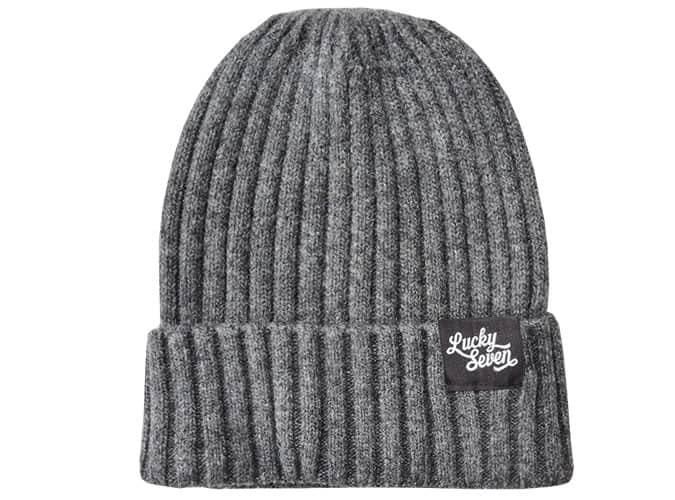 However, a cap leaves those chill magnet ears free and so the brand has released a set of cosy cashmere and wool blend beanies to keep your lords and peers covered up in the nippy winter breeze. You can buy a top-notch from Breton tee anywhere these days but if you really want to adhere to the classic you’re going to have to start in its place of birth. This is where Armor Lux come in, the French brand having been founded in the Brittany region of France in 1938. The brand’s bubblegum-sweet striped tee is a welcome variation on the classic Breton with a popping colour and a more fitting crew neck instead of the wider boat neck. There’s nothing worse than cracking out your fresh creps for a night out only to come back home and find them covered in spilled drinks. Give your kicks a lick of refresh paint the morning after with this Crep Protect marker pen that covers up such stains. If only we could do the same with our hangovers. Menswear e-tailer Mr Porter has a good track record for shining light on new, slightly underground brands. This week’s voyage of discovery sees us land in Sweden with simple and tasteful menswear makers Séfr, a new brand to the Mr. P roster. This silky, shiny corduroy is a good opening statement, with a brown hue so rich we just want to melt it down and dip strawberries in it. Dreaming of the sun’s return but don’t want to buy a whole new set of clothes once it rears its beautiful toasty head again? No fuss, luxury holiday wear specialist Orlebar Brown has you covered with a number of items to wear now and later in the year, including this cotton-linen blend polo which will wick the sweat away on your holiday while the long sleeves keep you warm right now in the tundra. Fashion’s trouser game has been on the rise in recent seasons. No more the mere foil to a punchy jumper or tee, the trouser is ready to take its place in the limelight. Hence why high street retailer Topman have these eye-catching checked trousers in its latest release. Wear with something simple on top and let the bottoms shine. The sneaker world’s current obsession with throwback vibes (cue fire emoji) has offered up a good opportunity for sneaker brands to rummage around their back catalogue, just as British/Dutch sportswear brand Hi-Tec has done, re-releasing its Silver Shadow silhouette that was first created in 1981. It’s a chunky beauty, with gorgeous curves in all the right places and a shimmering olive complexion. Welcome back. Been living in jeans all winter but don’t fancy yourself as a wide-legged man floating about town? Check out the Klondike pant from Carhartt WIP, an equally rugged alternative, with a smart regular tapered fit and a down and gritty shade of khaki that is just as versatile as your trusted denim. 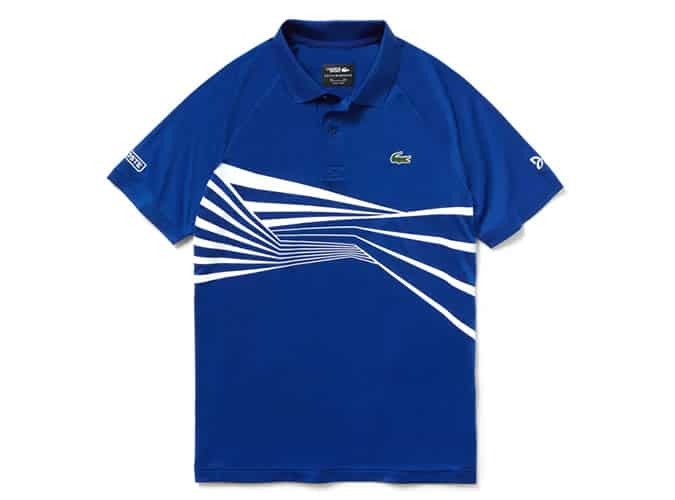 As you watch tennis world number one Novak Djokovic breezing through the early rounds of the Australian Open, cop a piece of his tournament clobber with this Lacoste polo tee, the same one Djokovic was wearing when he bossed Mitchell Krueger in the first round. Cashmere – a fabric so soft rock legends Led Zeppelin wrote a song about it (that is what it’s about right?) is also easy to recycle, due to it being a natural material. Sustainable fashion is a good thing in our books, and so this recycled cashmere sweater from French Connection goes right onto the front page. 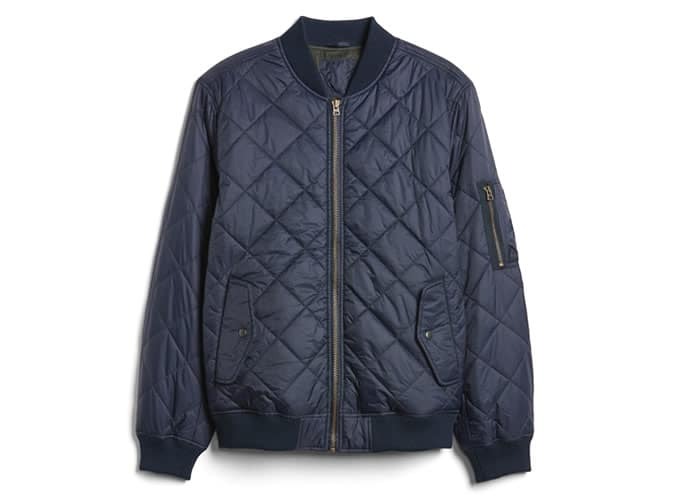 The quilted jacket is a lot more versatile than its cousin the puffer jacket. It’s more streamlined so will work with wide legged trousers and can fit under a coat for winter layering 101. This one from Gap also has a contemporary bomber jacket cut for some welcome streetwear nous. This piece from Japanese retailer Uniqlo is almost half cardigan, half blazer. It’s something you might find draped over a college professor or a deep-thinking psychiatrist. That one piece that turns anyone sporting it into a slick boffin. Wear with a white tee and some chill chinos and wait for the compliments to come rolling in, you little Einstein. Oink, oink, Chinese New Year is coming up (5th February to be precise) and it’s the year of the pig. British bootmakers Dr. Martens is celebrating the occasion early, releasing this special edition of its 1460 silhouette decked out in a funky fresh suede with the Chinese symbol for “Happy New Year” lovingly embroidered on the heel. 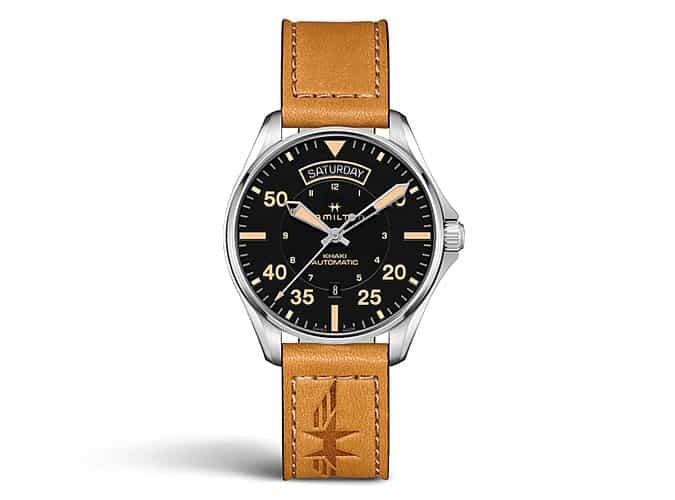 US-founded, now made in the home of watchmaking Switzerland, Hamilton can lay claim to have been on the wrists of the pilots involved in the first American airmail service in 1918. Paying homage to its place in aviation history this timepiece mimics the look of those early watches remade with modern materials like stainless steel and sapphire crystal. Let’s face it, January is no fun. You’re still recovering from party season and the set of tough resolutions you set yourself at New Year. Give yourself a break, and hibernate in this hefty hoodie from Superdry with a drawstring hood and side pockets to bury yourself into while you wait for spring to roll along. When it comes to following a trend you don’t have to rigidly follow the script. Case in point, the plaid shirt is enjoying a bit of popularity at the moment. If you don’t fancy taking the oft-trodden grunge route with it then there’s this green version from Jack & Jones which is far smarter than its counterparts – less slacker and more Sunday lunch with the parents. Got the half marathon at 3pm before the all-day rave at 4pm? 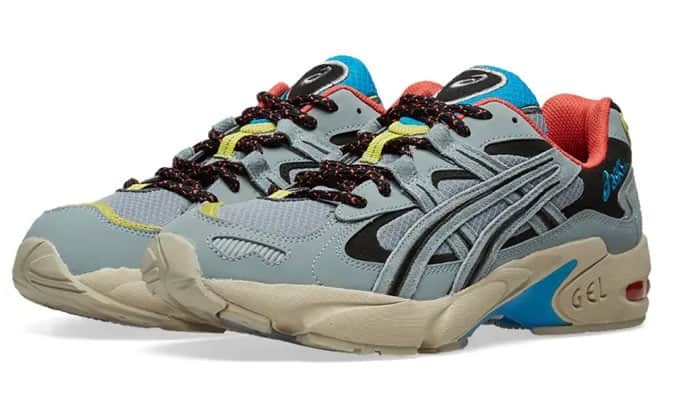 Hop into these polychromatic ‘rave-ready’ trail-runners from Asics, which have a strong nineties vibe in the bubble at the heel and the dashes of fluorescent yellow. Just don’t forget to pick up your medal on the way. Head of menswear at Louis Vuitton and the current undisputed king of fashion Virgil Abloh announced this week that he is to release a jewellery brand under his own name. The daring aesthetic? Stationery. Paperclips to be precise. The prices are of course going to be ludicrous so here’s an example of a ‘clip that won’t cost you a small deposit, cast in brass, and plated in ruthenium on a chain from London-based jewellery brand, Alex Orso. Oof, this is a bag and a half. Just check out that mock-croc finish, the swinging, get-out-of-my-way stature of the thing and the two-way zip for extra drama when you open it up to pull out your packed lunch. And all from high street chain Zara, so it doesn’t cost the earth. Drool.